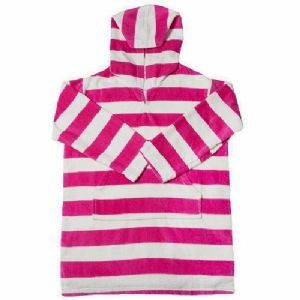 This great quality 100% cotton pink and white stripey hooded beach dress is great to wear at the beach or the pool. 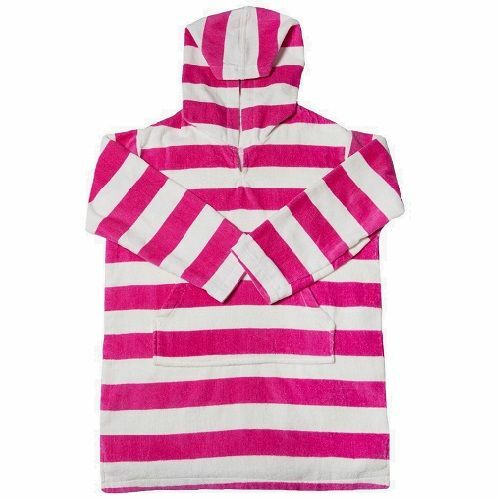 It keeps you warm and helps you dry off after a swim. Comes with a kangaroo pouch pocket at the front.